St. Petersburg’s (Fla.) 3,200 employees faced productivity issues as they were often locked out of the many applications needed to access information required to do their jobs. It put Florida’s fifth largest city in a tough spot, as access issues persisted across a number of departments, including police and fire, public safety, utility, code enforcement, recreation and engineering, among others. Protecting the security of the city’s information was the top priority. Muslim Gadiwalla, chief information officer, says, “We were starting to ramp up security and implemented much stricter password expiration rules, which left our users often locked out of their accounts.” This led to numerous helpdesk calls for password resets. The city then followed up with a solution to eliminate the numerous employee credentials that the IT setup required. Each employee used 10 to 12 applications for work with a separate login and a unique user name and password for each. To access the city’s data, city employees were using more than 38,000 passwords. City IT leaders also needed the solution to work with a number of different applications, including web-based apps that employees often used. 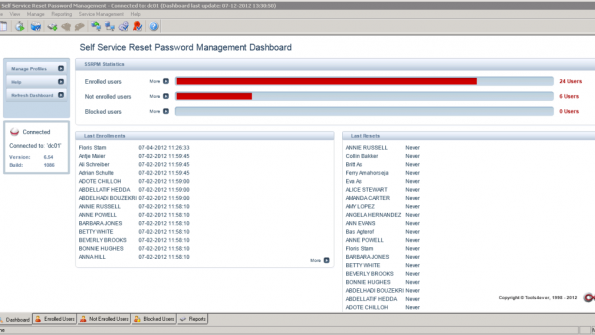 St. Petersburg integrated enterprise single sign-on manager (E-SSOM) from Tools4ever. The system allows users to log in to all applications with a single set of credentials. E-SSOM works with 13 different applications including Oracle, Polaris, Spiceworks, Kronos and Microsoft Office 365. Click here to learn more about Tools4ever.